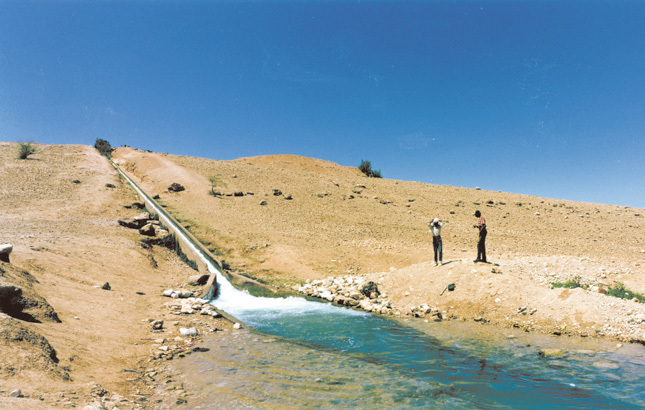 For Palestinian communities that suffer water shortages and require Israeli approval to increase pumping of shared natural water resources, an agreement to increase water sales from Israel to the Palestinian Authority by 50 percent annually will dramatically improve lives and livelihoods without creating water shortages on the Israeli side. This work to mediate peace through Israeli-Palestinian water sharing should be commended and continued. To ensure that the United States does not undercut its own efforts, the Trump administration must reevaluate some of its Middle East policies from a water security perspective. For example, the draft Taylor Force Act, which prohibits American aid to the West Bank and Gaza, does not exempt water programs. How might cuts to U.N. Relief and Works Agency for Palestinian Refugees (UNRWA) funding impact a water crisis in Gaza that is already severe? Any further reduction in Palestinian access to water could destabilize the region. Photo credit: Ain Oja and distribution canal, Palestine, February 2018, courtesy of Water Alternatives, photo taken by Heiner Schmitz.